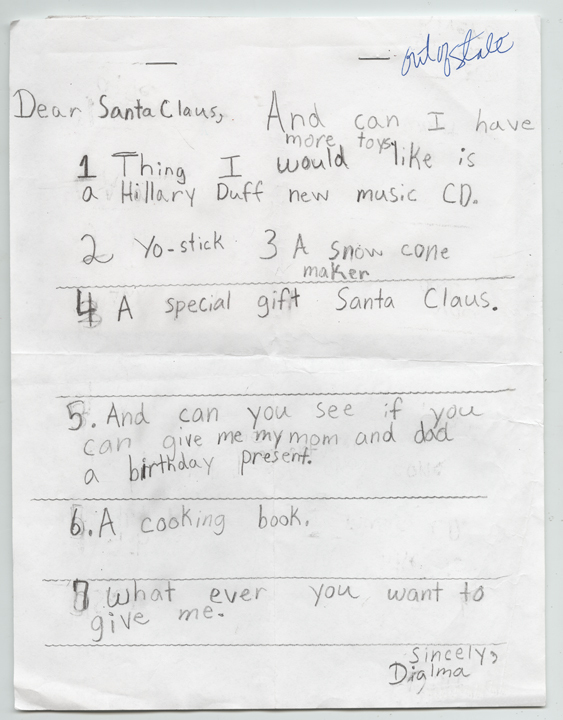 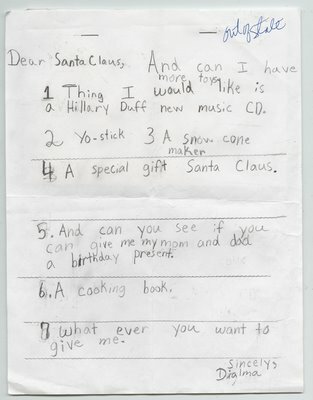 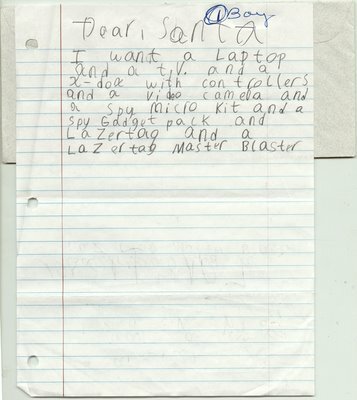 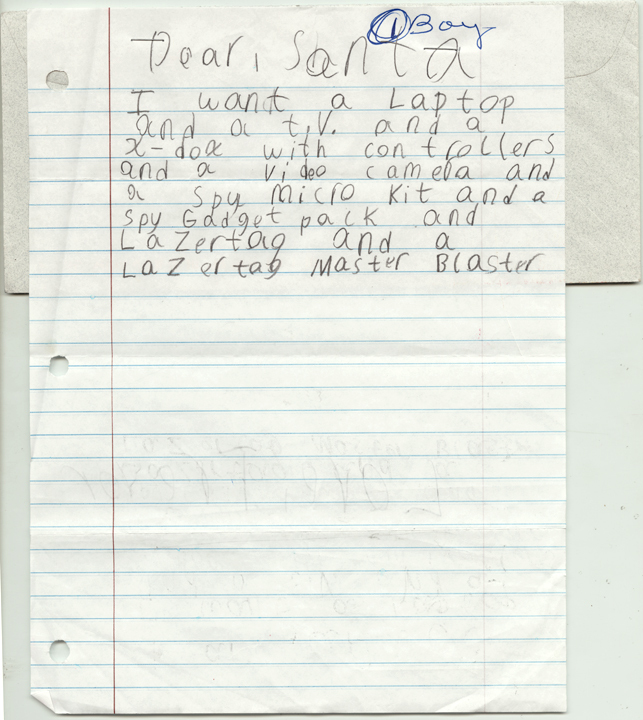 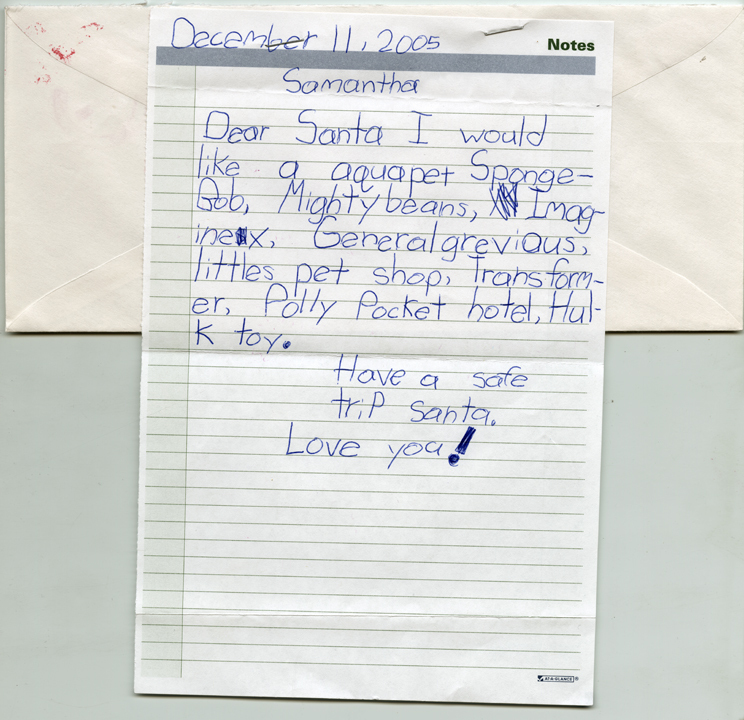 Where do letters to Santa go??? 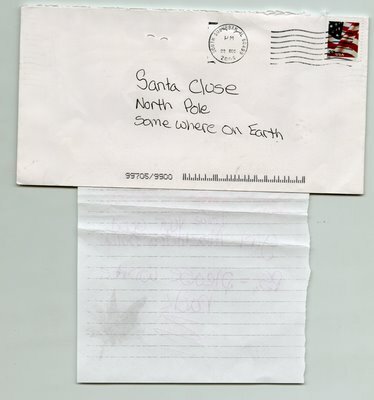 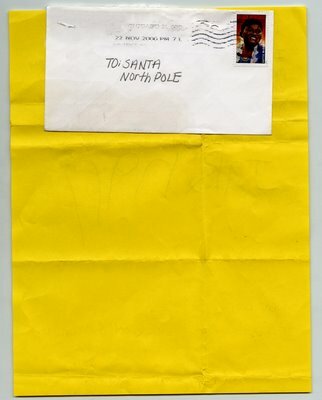 CHICAGO -- In Chicago, letters sent to Santa Claus get routed through one place -- the main post office at 433 West Harrison St. 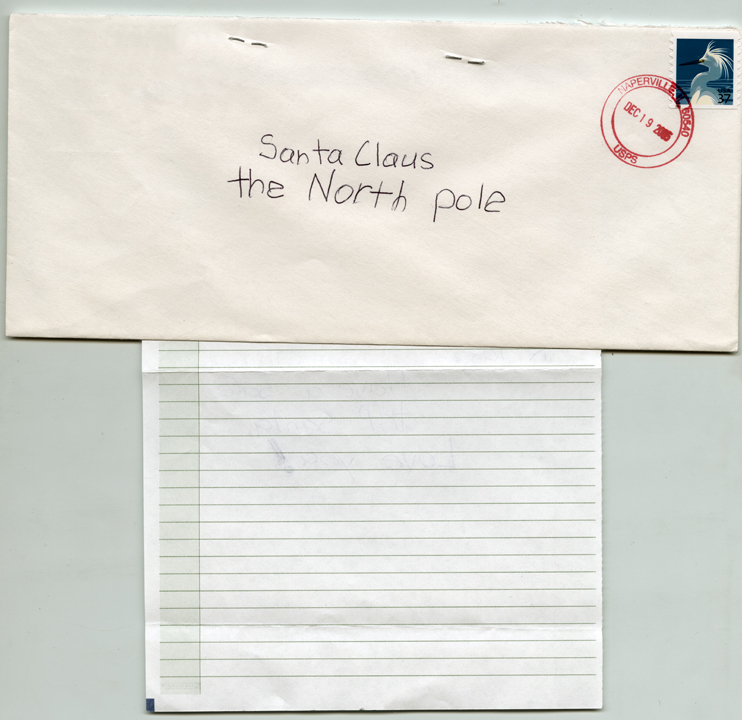 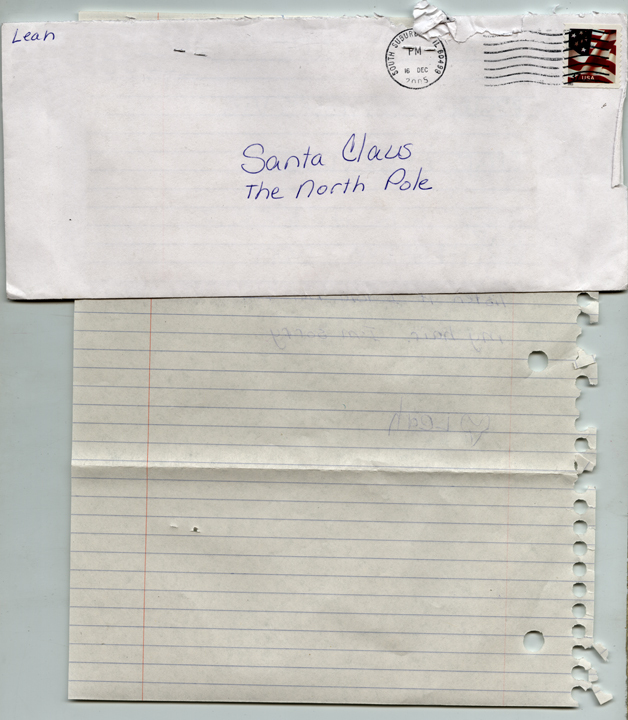 According to Mark Reynolds, a spokesman for the post office, thousands of letters come through every year. 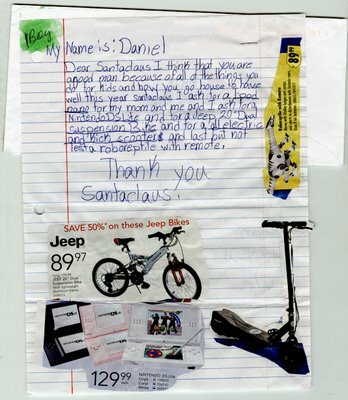 The office sorts them and then lets the community step in. 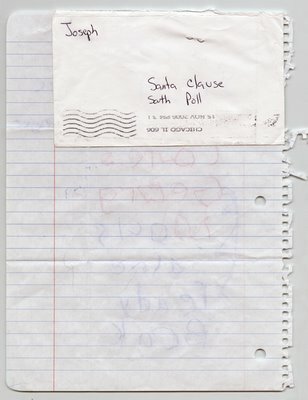 Anyone who wants to can go to the main post office, seven days a week from opening until 11:30 p.m. to take a look at the letters.Reynolds said anyone who wants to fulfill a letter can take one by supplying a photo ID to the post office. 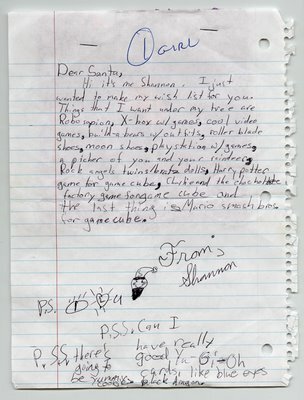 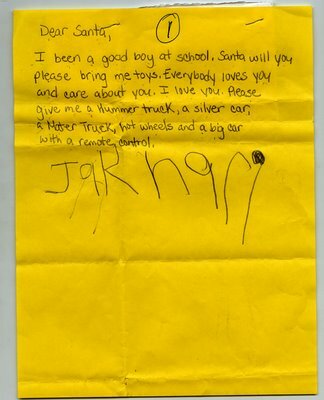 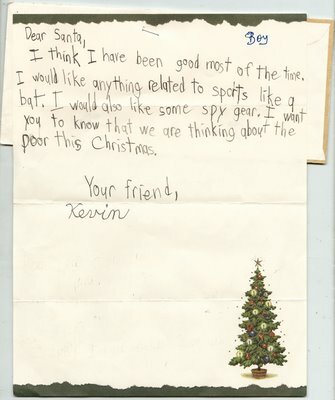 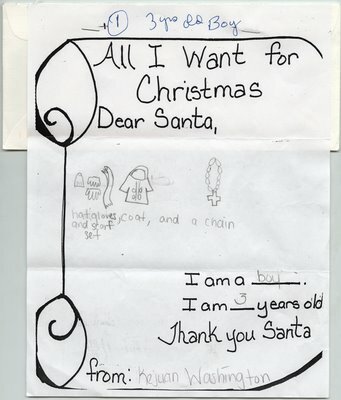 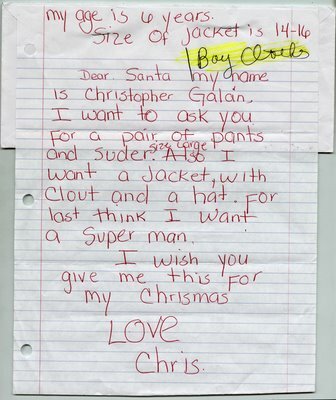 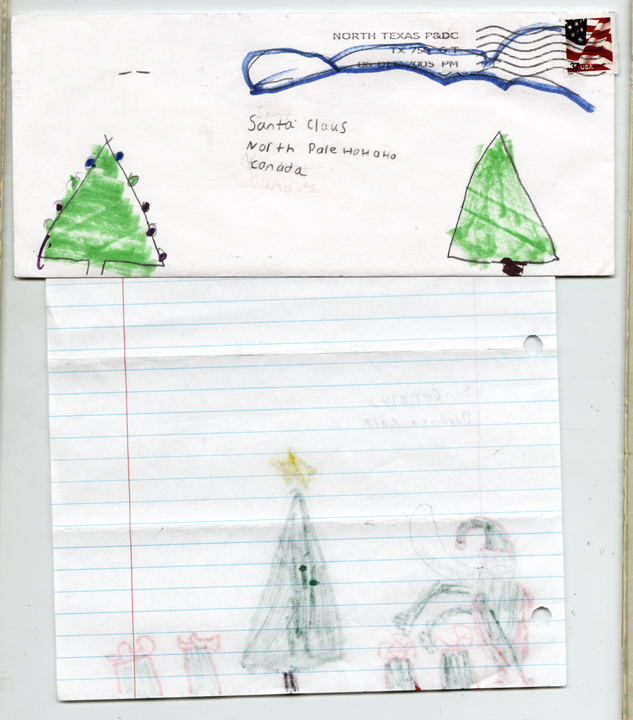 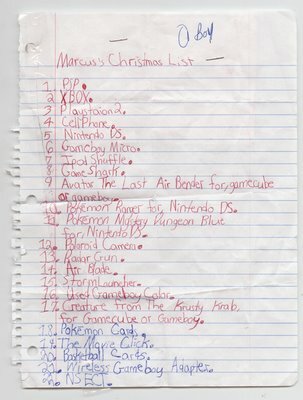 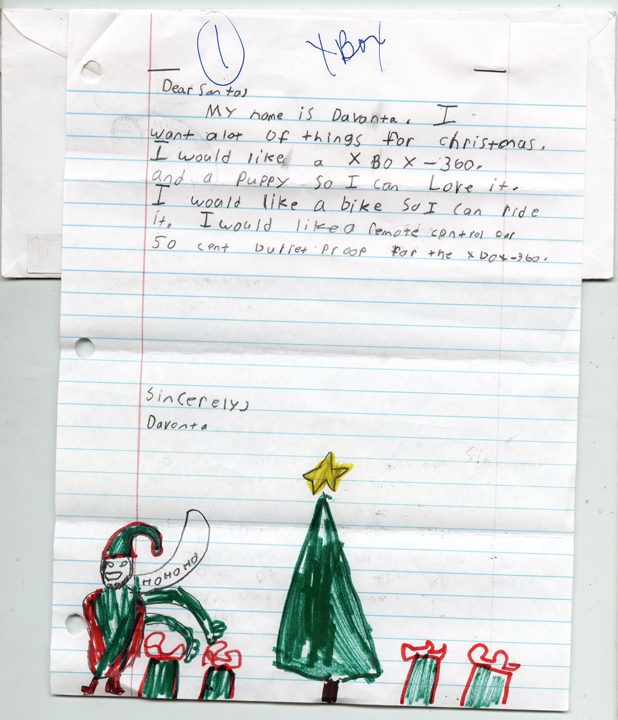 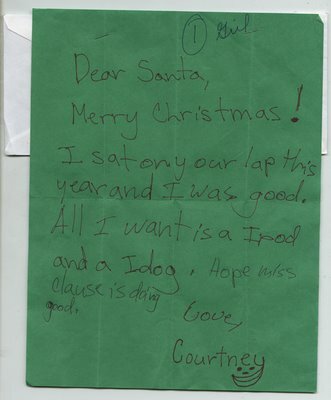 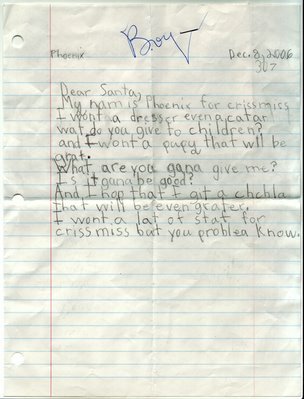 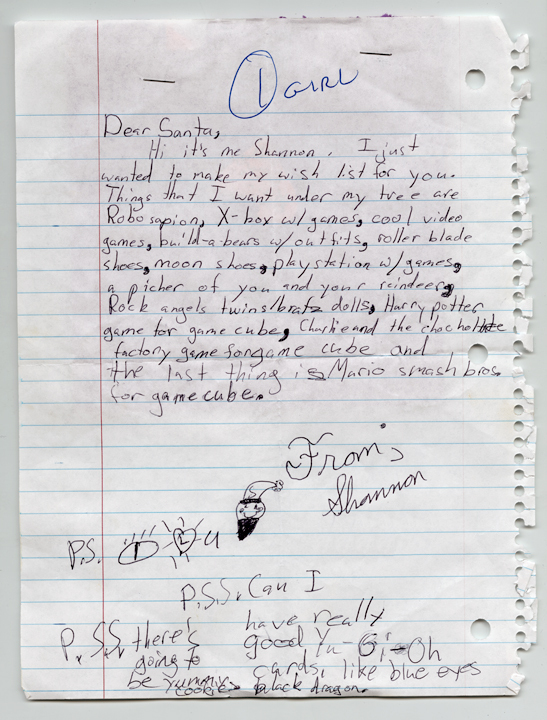 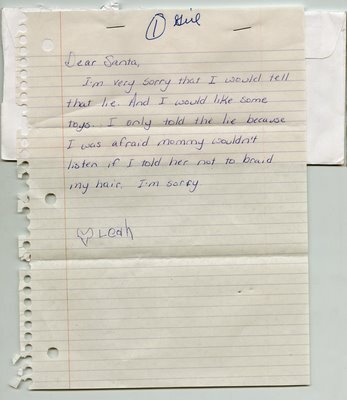 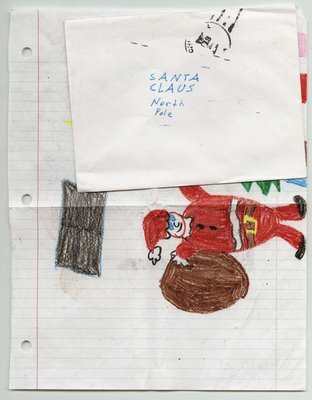 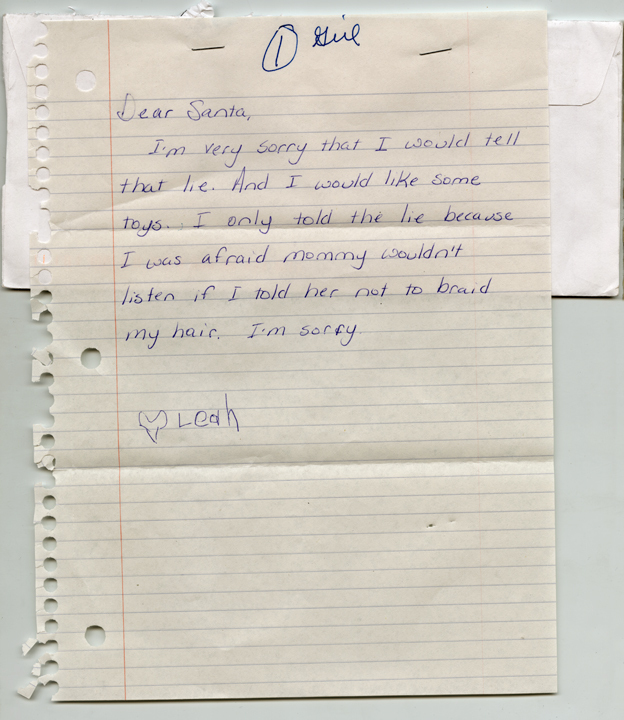 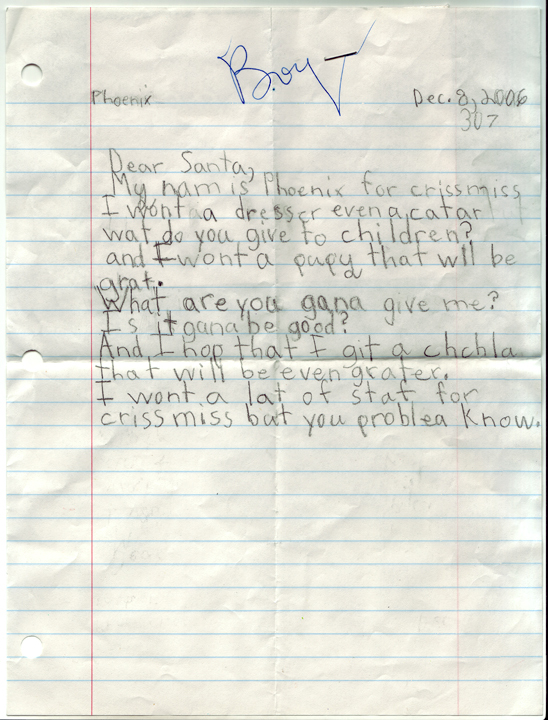 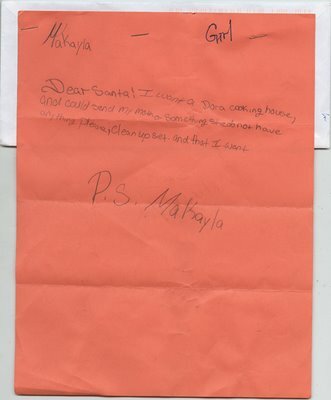 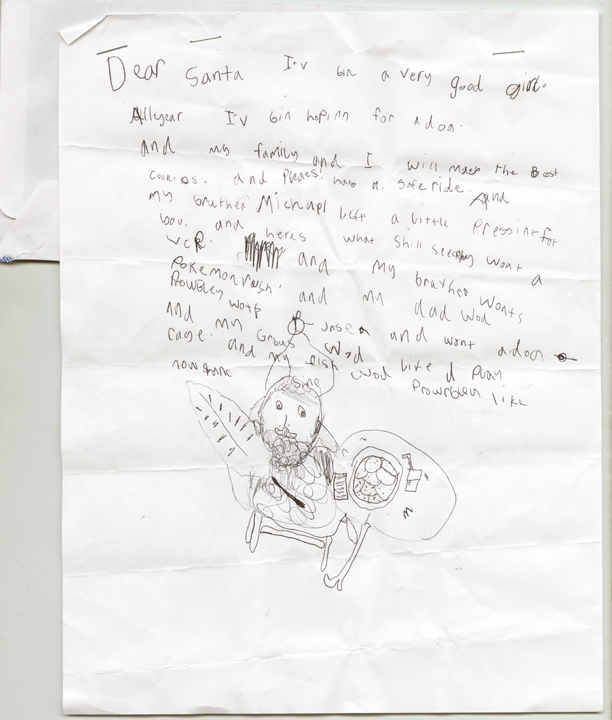 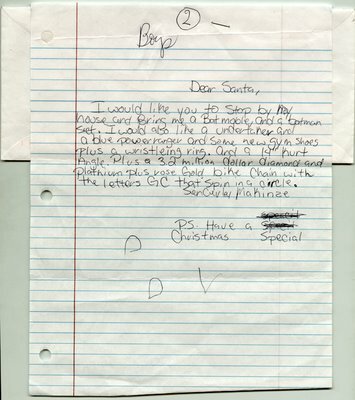 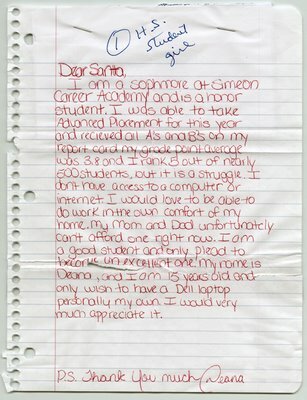 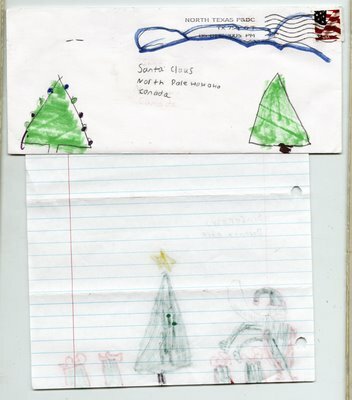 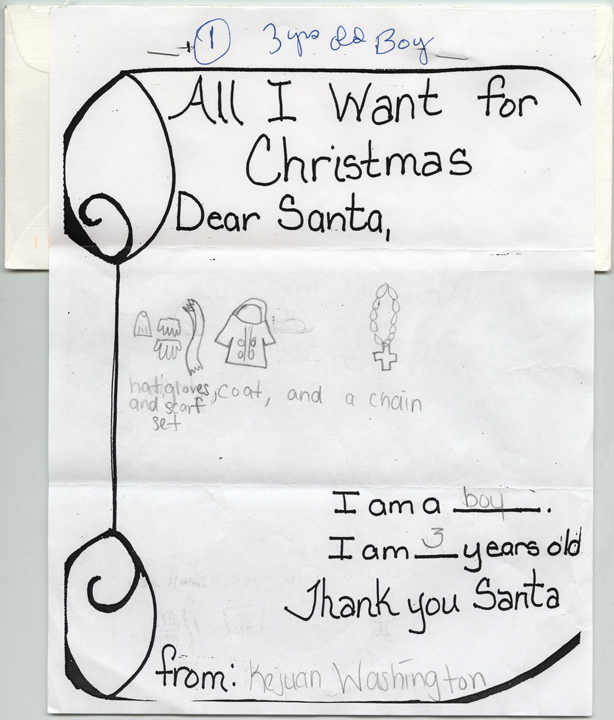 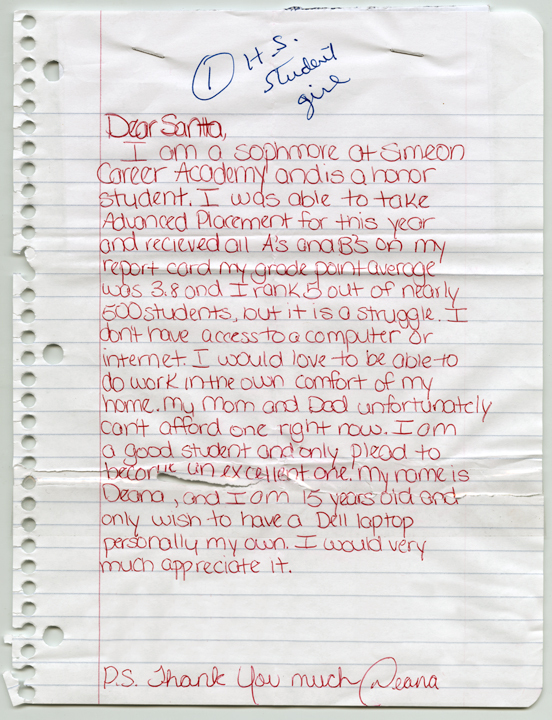 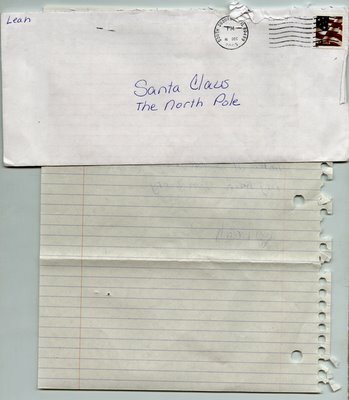 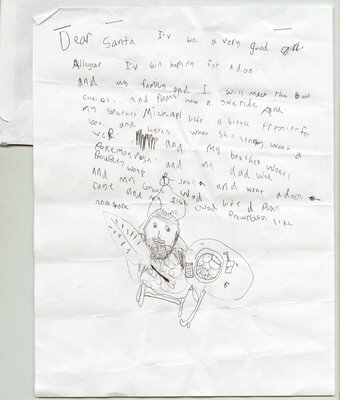 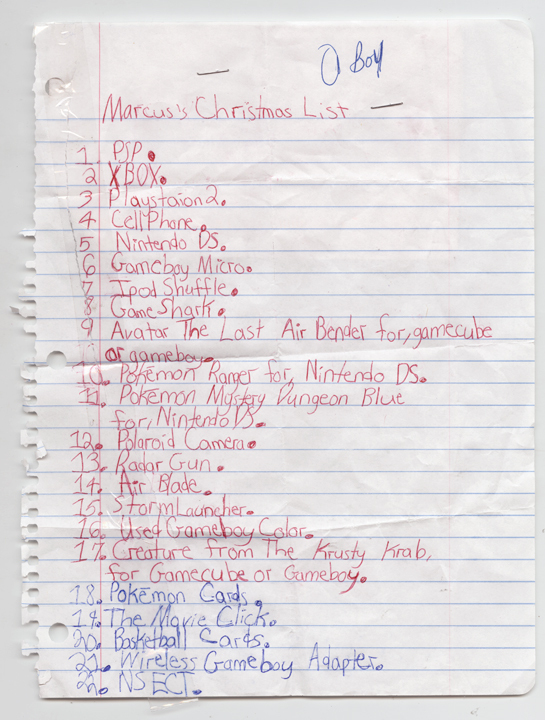 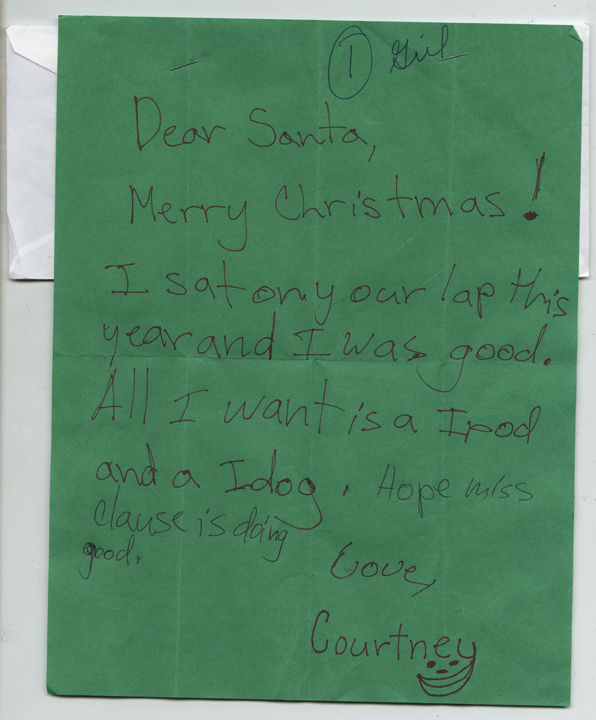 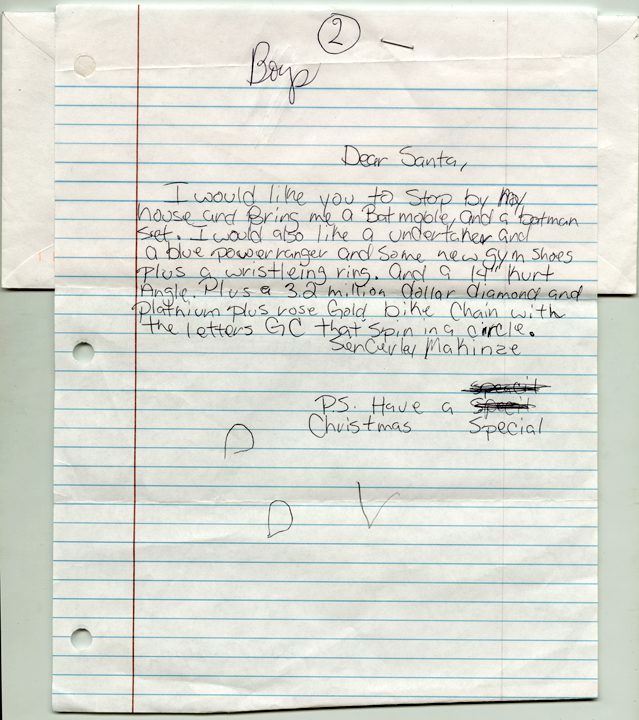 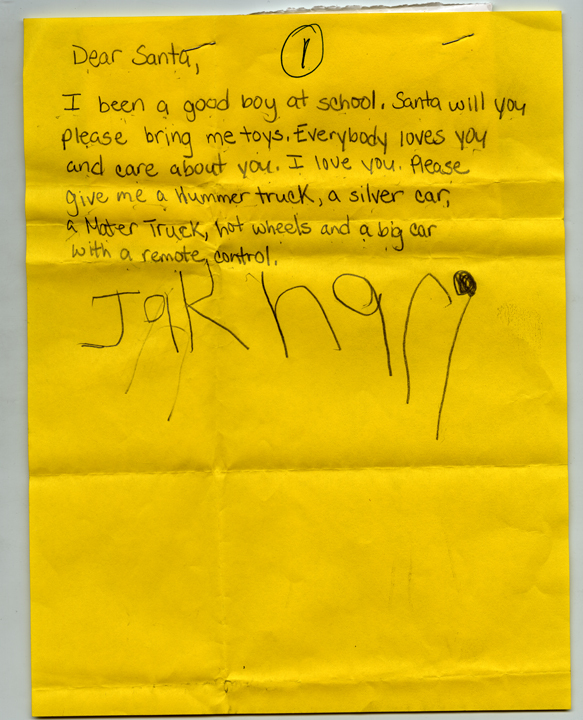 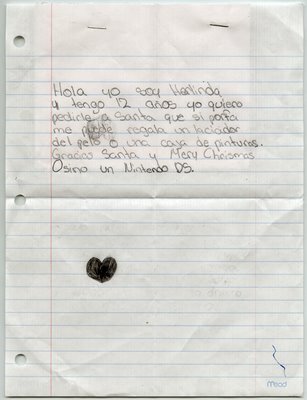 In addition, Chicago runs a program named "Letters to Santa" that encourages impoverished children to write to Santa so good samaritans can answer. 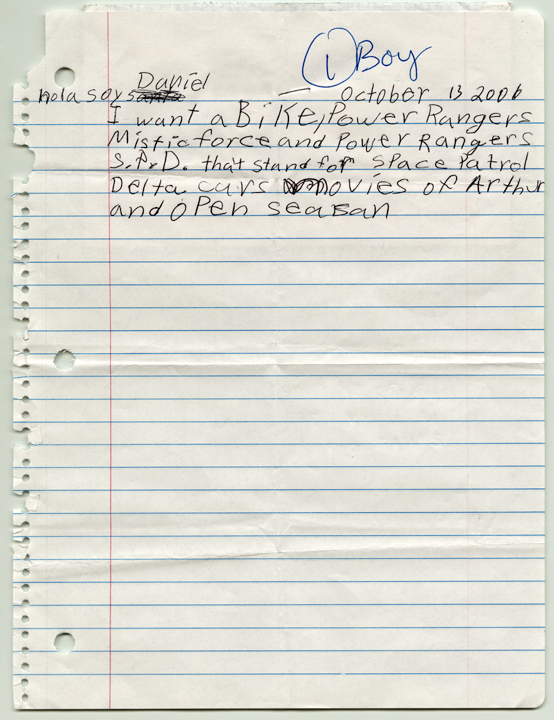 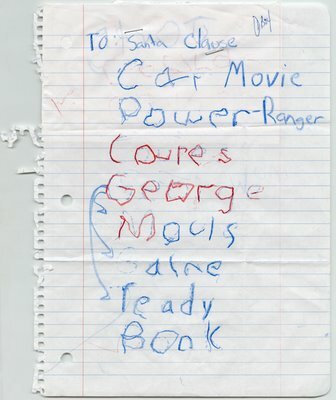 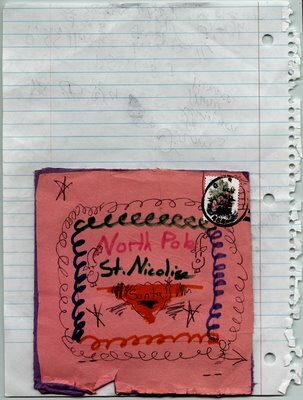 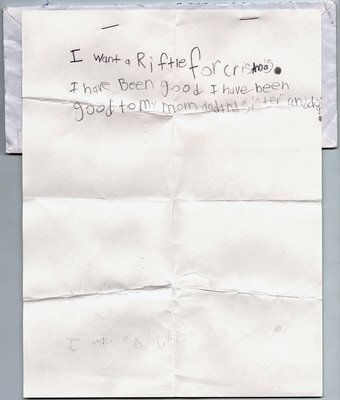 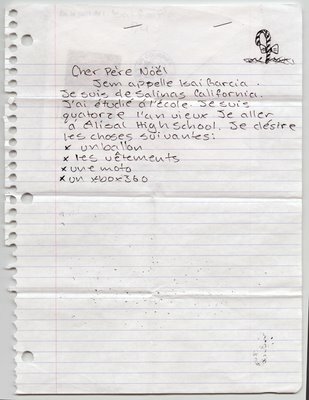 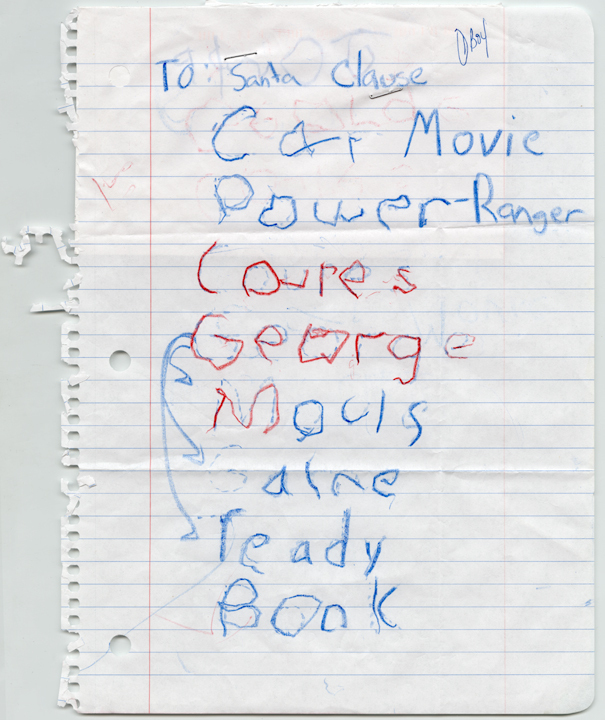 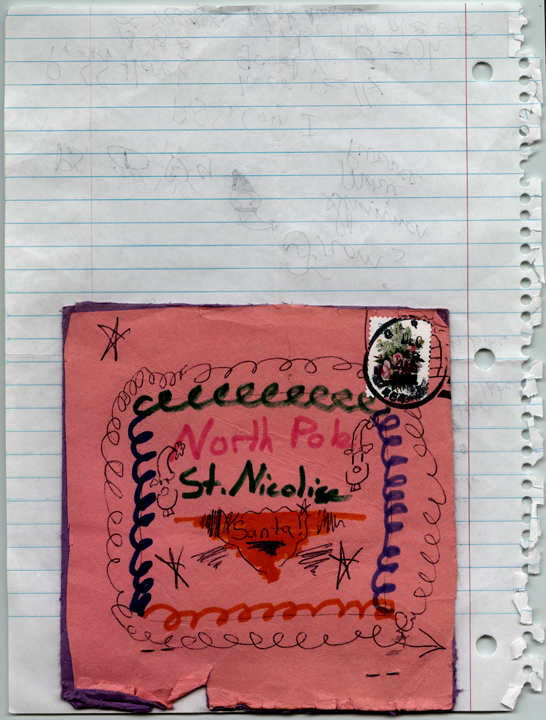 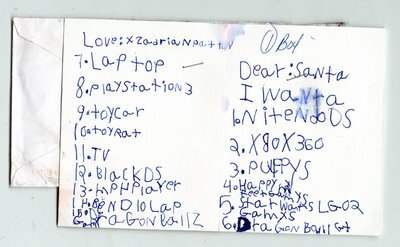 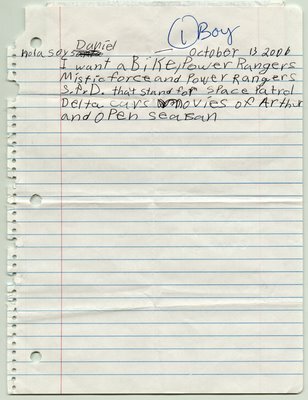 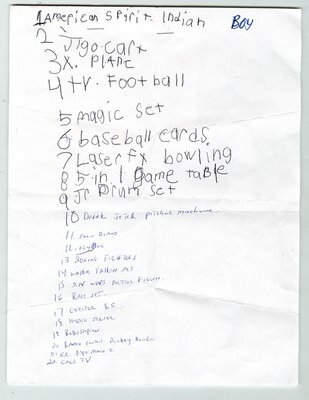 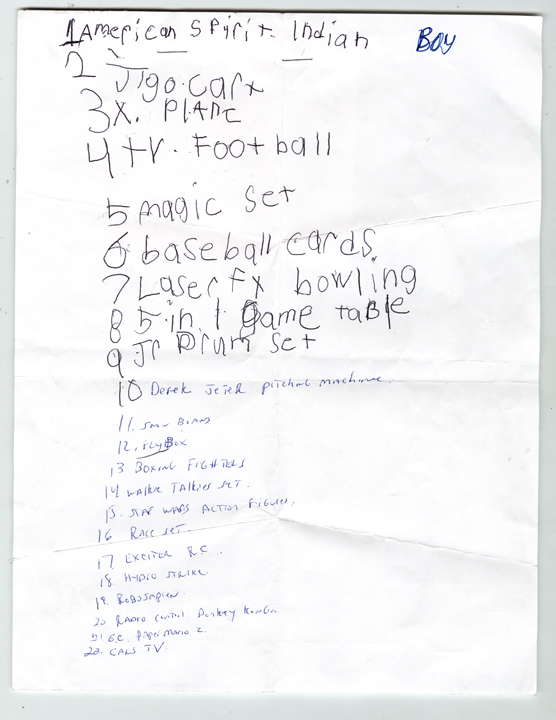 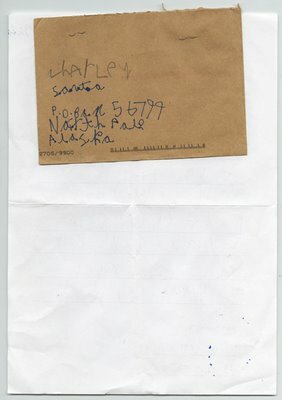 Of the thousands of letters that come to the 433 W. Harrison, you are sure to see many from these children in particular. 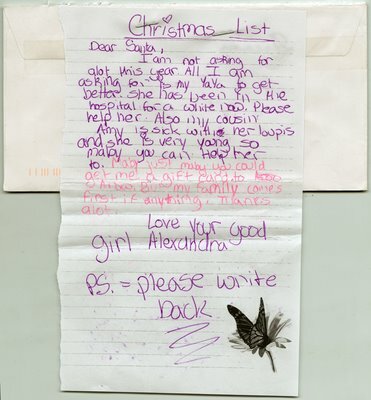 Please consider answering a letter and encouraging someone else to do so as well. 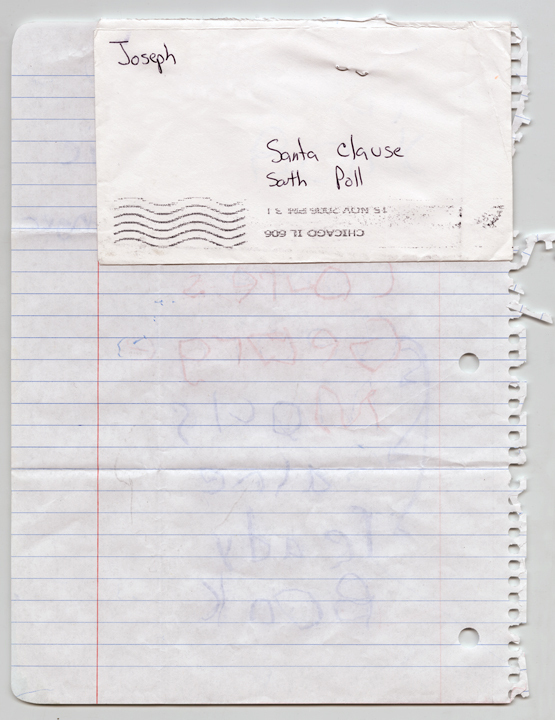 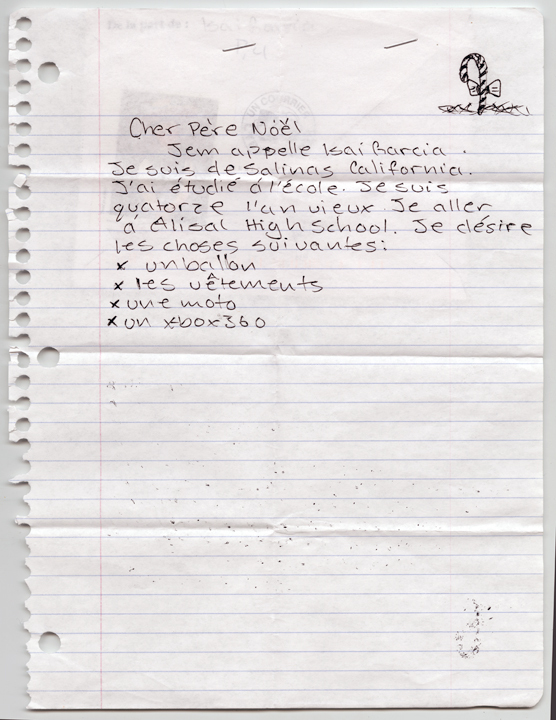 There are many, more heart breaking letters I have not scanned that deserve a private reading and response. If you want to respond to a letter I've posted, go to the post office, they are already back in the pile! 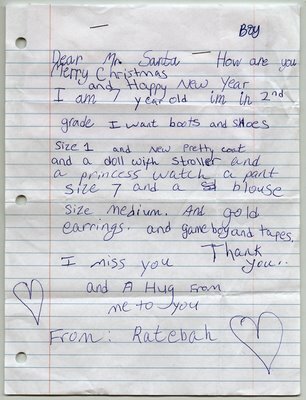 The post office is open 24-hours a day and anyone can go in and select a letter or two and make this a special holiday for a family in need. 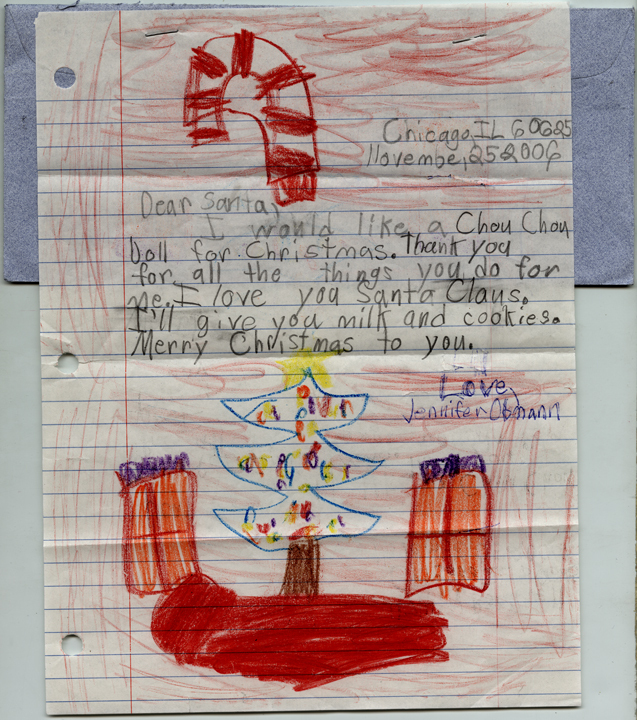 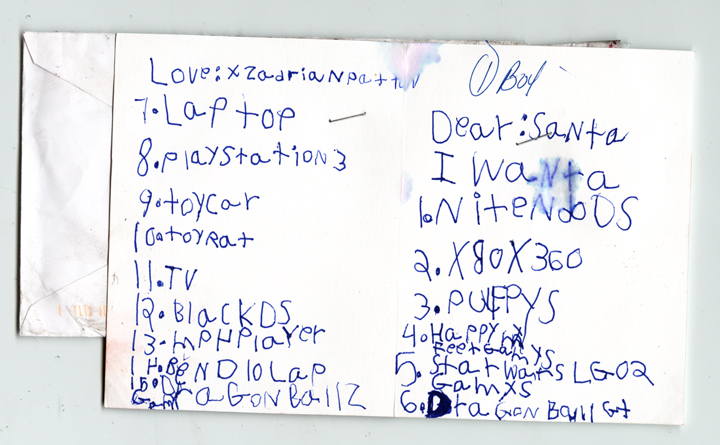 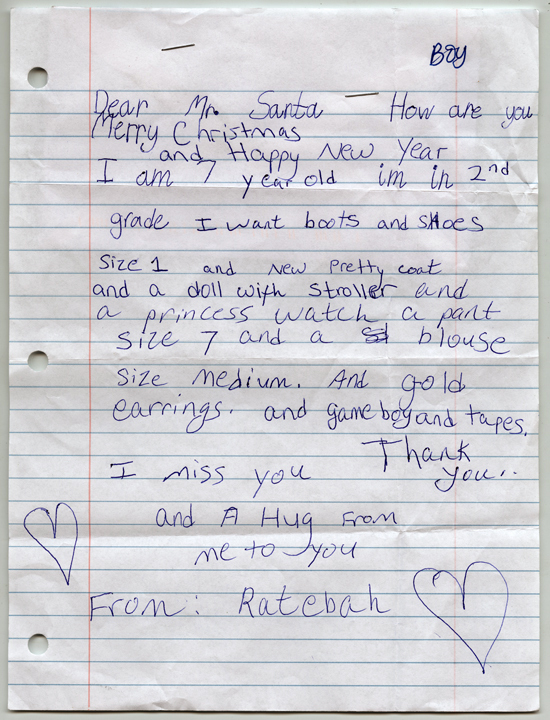 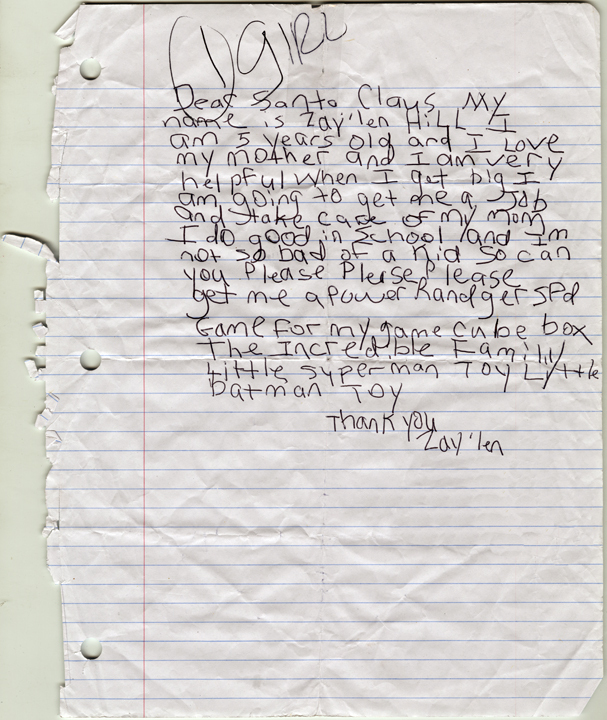 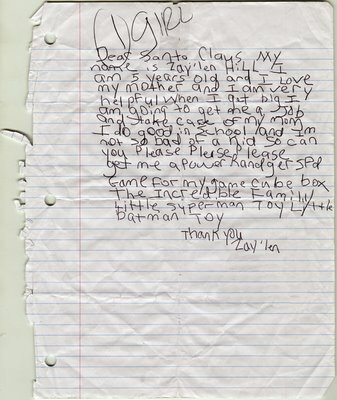 If you would like to take part in the Letters to Santa program, call 312-983-TOYS. 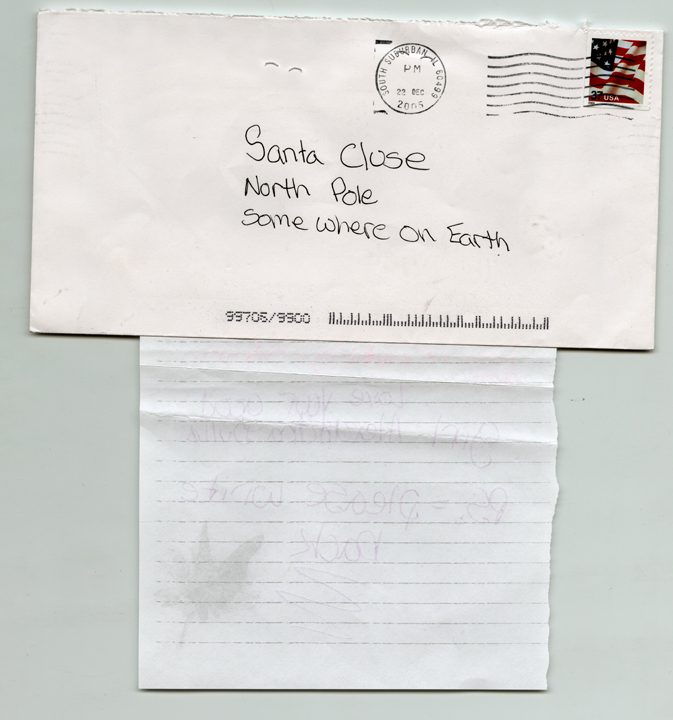 If you are not in Chicago, check with your local post office branch to see if they have a similar program.